Last night the full moon of May lit up the evening sky throughout the world. In some societies such as Nepal, Malaysia, Bhutan and Thailand, this is a national holiday celebrating the birth, enlightenment and passing away of Gautama Buddha. It celebrates the possibility and potential of all humans to awaken to who we really are, beyond all our busy inner mind traffic and the challenges of the external world. As I shared in a celebration of this day with friends, we recited a teaching that I felt offers another possibility for creating a society based on compassion for all beings. This teaching is known as the Thirty-seven practices of bodhisattvas. Simply put, a bodhisattva is someone who chooses to be here on earth to be of benefit to all beings. This teaching essentially is the basis for all spiritual traditions and inclusive with all and transcends all. Personally, I feel if we can create a society with these tenets, the world as we know could turn around and we could have a healthier and happier society and a healthier environment for all our kindred spirits. 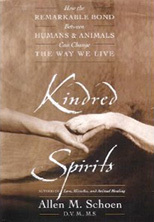 One purpose of the kindred spirits project is to unite animal lovers, through our heart connections, to create a more compassionate, respectful society for all beings. 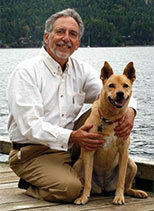 I thought that you might enjoy reading and reflecting on these thirty seven practices and see how you might wish to incorporate some of them into the lives you share with your animal companions. I would love to hear from you on how you have creatively integrated any of these into your life with animals. Here are the Thirty Seven Practices of Bodhisattvas as translated for Garchen Rinpoche, a great Tibetan Buddhist teacher. Though some of the language may be a bit foreign to some readers, listen beyond the words to the essence of the practices and interpret them as you feel appropriate for your personal beliefs and traditions. Let go of anything that does not feel appropriate for you. 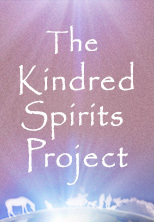 I am simply sharing these in the wishes that they may be of some benefit to you, your animal companions and all beings. diminish. Being without distraction, virtuous endeavors naturally increase. friends even more than one’s own body is the bodhisattvas’ practice. undeceiving Triple Gem is the bodhisattvas’ practice. peril to one’s life, is the bodhisattvas’ practice. changing liberation is the bodhisattvas’ practice. 11) All suffering without exception comes from wishing for one’s own happiness. the three times is the bodhisattvas’ practice. loving mind is the bodhisattvas’ practice. friend, is the bodhisattvas’ practice. be unconceited is the bodhisattvas’ practice. the army of love and compassion is the bodhisattvas’ practice. clinging and attachment is the bodhisattvas’ practice. subject-object duality is the bodhisattvas’ practice. attachment is the bodhisattvas’ practice. aspirations for worldly existence is the bodhisattvas’ practice. perfectly transcends the four formless [absorptions] is the bodhisattvas’ practice. that does not discriminate among the three spheres is the bodhisattvas’ practice. who have entered the Great Vehicle is the bodhisattvas’ practice. the households of friends, relations and benefactors is the bodhisattvas’ practice. mindfulness and awareness is the bodhisattvas’ practice. making such effort for enlightenment is the bodhisattvas’ practice. for those who wish to train on the bodhisattvas’ path. I think the bodhisattva practices are not mistaken. forbear my errors such as contradictions and incoherent reasoning. abide in the extremes of existence or peace. exponent of scripture and reasoning, in a cave in Ngülchu Rinchen. At the request of Garchen Triptrül Rinpoche, this translation was completed in 1999 by the disciple Ari-ma. Additional revisions were made by her in the spring of 2002. English translation copyright Ari Kiev 2002. This text is for free reproduction and distribution. It’s copyright is solely for the purpose of authentication.